This is my favorite PinkBlush purchase EVER – keep reading for more details. Happy due date, Annie B! Happy Due Date, Annie B! 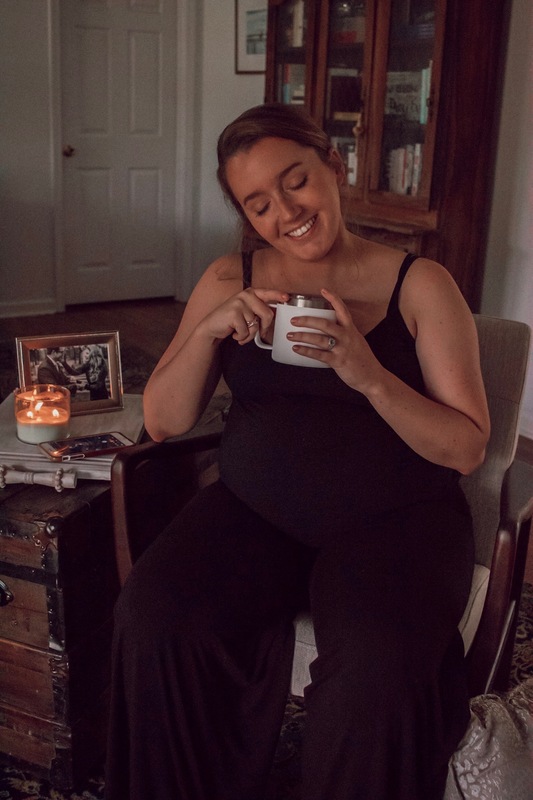 It’s so crazy to think that about seven months ago, I was frantically searching the internet for inspiration on how to stretch the life of your regular jeans into the second trimester. That lasted about… ten minutes. The hair tie trick was useful, but much less than comfortable. I was really resistant to the idea of buying a ton of new clothes for my pregnancy, but it didn’t take me long to realize which purchases were just necessary. 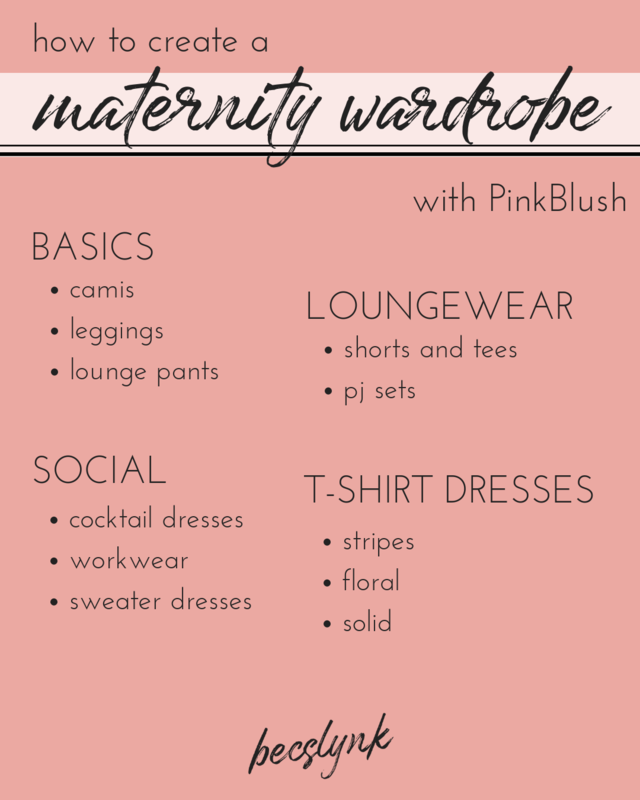 What kind of maternity clothes do I need to invest in? Click to shop my favorite PinkBlush basics on LIKEtoKNOW.it! It doesn’t matter what time of year you’re due. 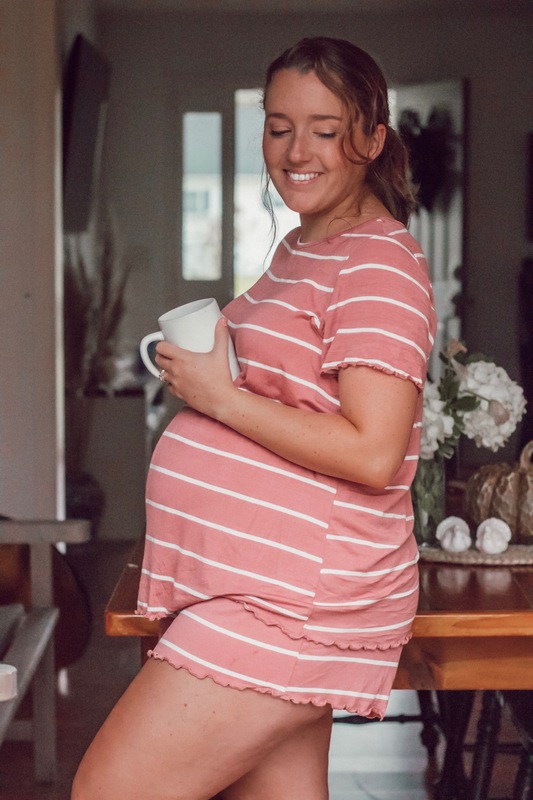 PinkBlush t-shirt dresses are the comfiest thing in the world for preggos – soft, ruched, and super flattering. They’re easy to layer with cute denim jackets and plush cardigans when it gets chilly. This was my first purchase from PinkBlush before I even became a style ambassador, and the first outfit I wore when I started taking “bumpdates.” I don’t know why I was so afraid to start taking progress pics! I’ve worn these dresses all the way through my pregnancy with Annie B, but it was my favorite to wear right when I started showing. The ruching made it more obvious that I had a bump. Plus, it was super flattering on my newfound curves that I was a little self-conscious about. It’s nice to have clothes that boost your confidence, especially at a time where confidence is a little bit low. Click to shop my favorite PinkBlush dresses (I chose ten, because I have a problem) on the LIKEtoKNOW.it app! 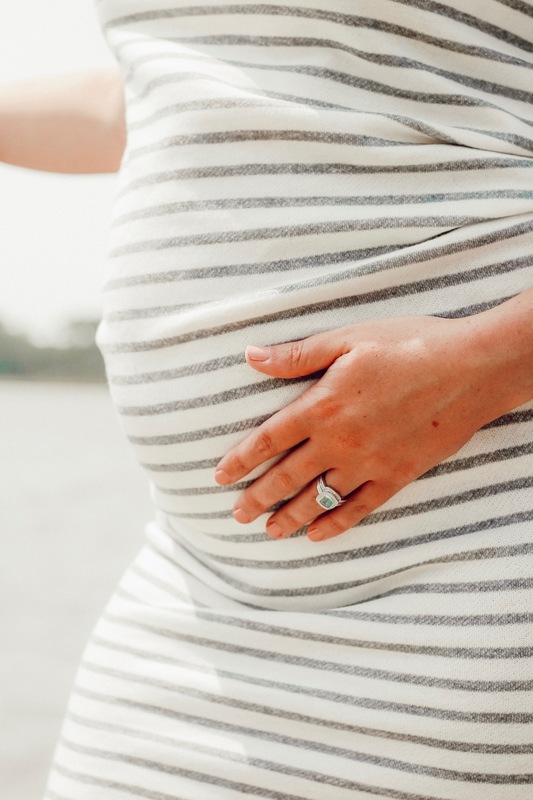 On more than one occasion, I had a full fledged breakdown in my closet, totally unaware of how to style my bump. It can be frustrating when you see all these cute outfits only featuring high waisted boot cut flare and cropped sweaters, only to realize that you would look like a human-sized Winnie the Pooh. Not a good look. You’ve already seen me in one of PinkBlush Maternity’s bridesmaids dresses, but my favorite looks were the ones that were easy to grab and throw on for all the occasions in between. 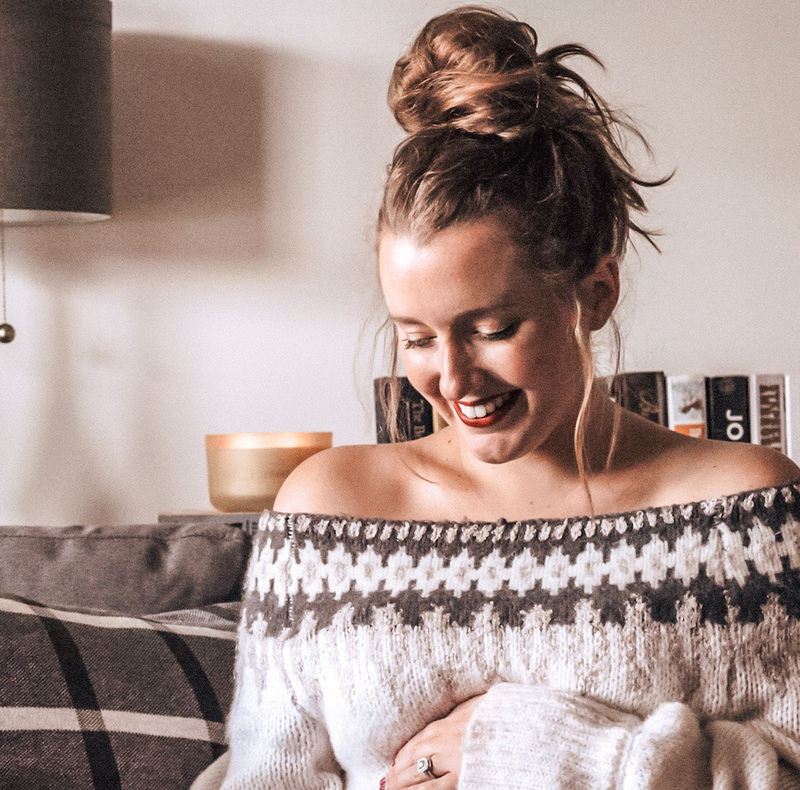 This knit striped number that I wore to Thanksgiving is no longer in stock (but ugh, one of my favorite Fall staples EVER.) 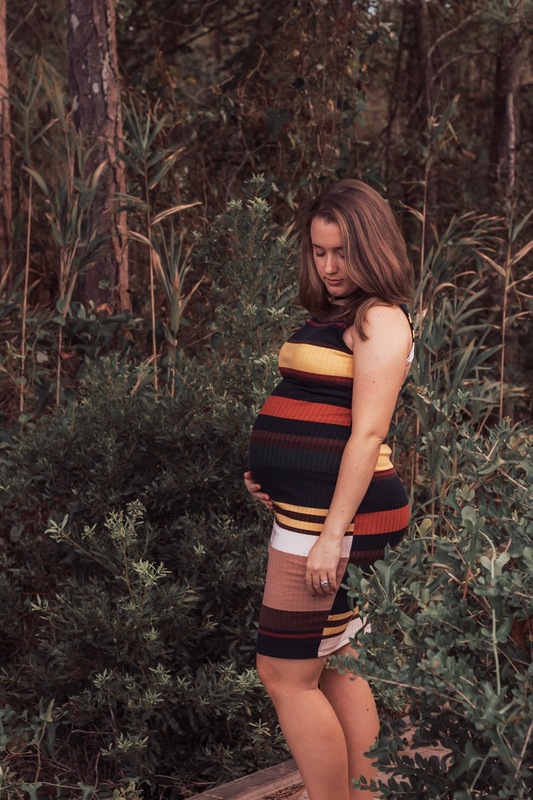 So, I linked tons of other maternity dresses that are just as flattering and cute. Click to shop all my favorite PJs and loungewear on my LIKEtoKNOW.it! You don’t have to work from home to need comfy loungewear and pajamas. I’m more of an XL t-shirt kinda girl after 8 pm. But even my old faithful sleep shirts were ill fitting by the sixth month. Plus, I’ve scared the mailman on multiple occasions by answering the door in “blanket pants.” You will have days when you just can’t manage to get dressed. You might as well still look cute. In case you were wondering, as of the time I wrote this post (the night before her due date) Annie is still not here. But we are trying not to rush it! We had a little scare this morning that landed us in the hospital for about an hour of stress testing, but we are both very healthy and waiting on contractions to get stronger. TL;DR? Screenshot this checklist or save this to Pinterest to come back later! "How I Take My Pictures"